The Japanese had captured Borneo in early 1942 as they pushed their way south expanding their empire. Most of the island was part of the Netherlands East Indies (now Indonesia) but the north and northwest was British territory. 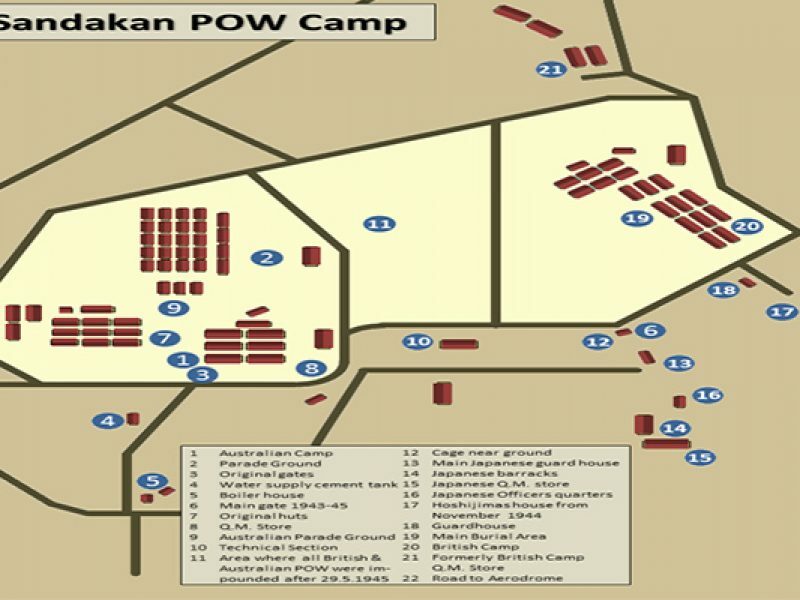 During 1942 and 1943, many prisoners of war, including Australians, were sent to various locations on the island held in POW camps. The Borneo campaign was criticised in Australia at the time and in the years following the war. Many men perished in these attacks. Modern historians have said that attacking these forces, already cut off from Japan, was a waste of resources. The decision by the Allies to invade Borneo in 1945 was in some ways a political game. It had only marginal strategic value in the pacific campaign. General Douglas MacArthur, Commander-in-Chief of Allied forces in the South-West Pacific Area, planned the operation partly to alleviate concerns of the Australian government that its forces were being left in the rear of the main war offensive, as New Guinea had become. MacArthur had largely left Australian forces out of the significant operations of this stage of the war – as the Americans become the liberators of the Philippines and pacific at large. 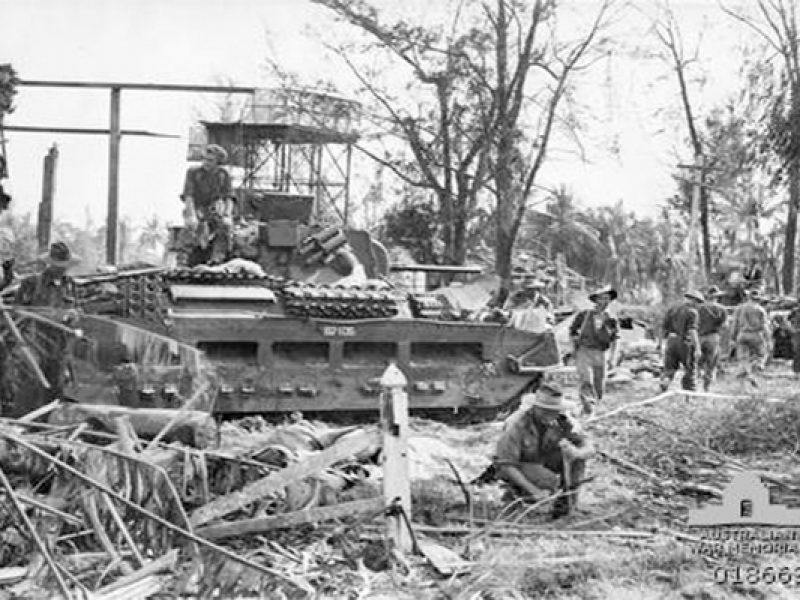 The invasion of Borneo was intended to put Australian forces in a strong offensive action and becoming visible in the press in the war against Japan. Leaving the Japanese forces to weather on the vine while the allied forces blockaded them was deemed popular in Australia however MacArthur never favored this method of defensive/offensive action. The Borneo Campaign of 1945 was the last major Allied campaign in the South West Pacific Area during World War II. In a series of amphibious assaults between 1 May and 21 July, the Australian I Corps, under Lieutenant General Leslie Morshead, attacked Japanese forces occupying the island. 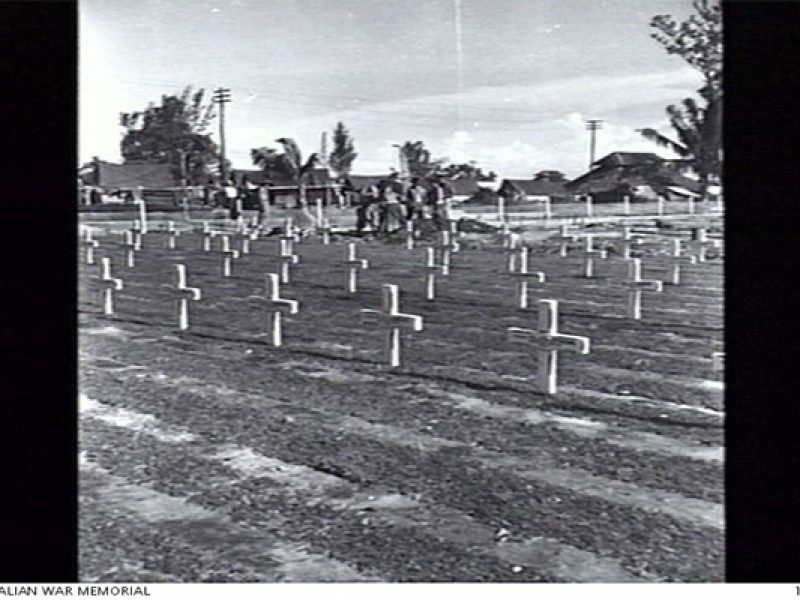 The campaign did, however, achieve a number of military and humane objectives, such as increasing the isolation of significant Japanese forces occupying the main part of the Dutch East Indies, capturing major oil supplies, and freeing Allied prisoners of war, who were being held in increasingly worse conditions (example, the Sandakan Death Marches and Batu Lintang camp) as the demise of the Japanese power and supplies continued. 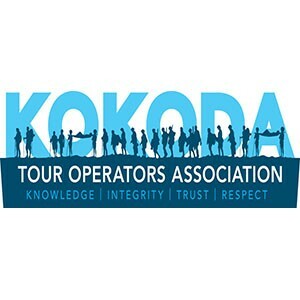 The campaign was nearly assuring success, as the Australians had become a highly trained and experienced fighting force with their roles in the Middle East and New Guinea. Although being highly trained and the campaign skillfully executed battle and non-battle casualties where always going to be high against the Japanese forces. The plans for the Allied attacks were known collectively as Operation Oboe. The initial Allied plan comprised six stages: Operation Oboe 1 was to be an attack on Tarakan; Oboe 2 against Balikpapan; Oboe 3 against Banjermasin; Oboe 4 against Surabaya or Batavia (Jakarta); Oboe 5 against the eastern Netherlands East Indies; and Oboe 6 against British Borneo (Sabah). 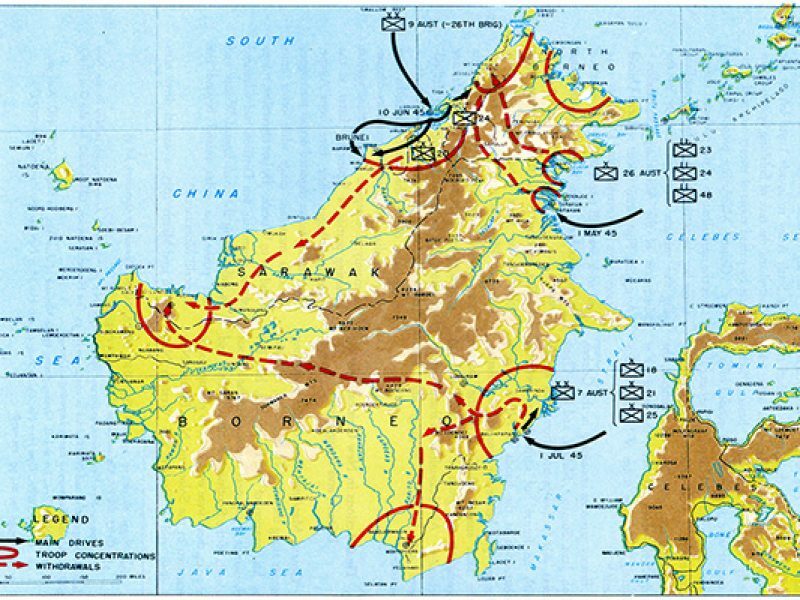 In the end only the operations against Tarakan, Balikpapan and British Borneo—at Labuan and Brunei Bay—took place. Borneo in particular was considered at the time a strategic location for its natural resources, oil. By the war’s end on 15 August 1945 (although officially signed document took place on September 2nd), all major objectives had been achieved. Borneo in particular Sandakan saw a horrific tragedy with the loss of many prisoners of war who had been held at Sandakan in north Borneo. During 1942 and 1943, more than 2000 Australian and British prisoners of war had been sent there from Singapore and Java. They suffered dreadfully and during 1945 many had died of starvation, overwork and disease. The Japanese ordered more than 1000 supposedly ‘fit’ men to march into the mountains to a more isolated base at Ranau. 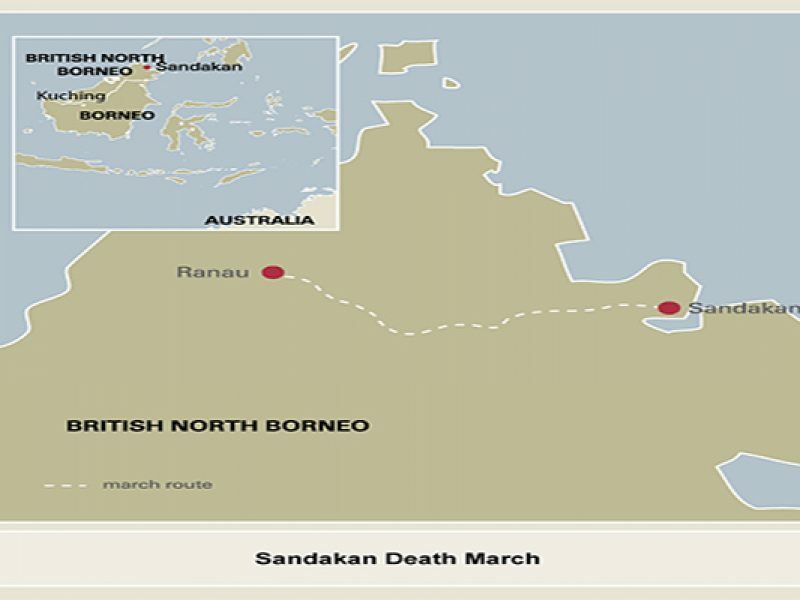 Nearly 300 men too sick to attempt the march either died or were killed at Sandakan. Of those who undertook the march, only six men – all Australians – survived. They had escaped and were rescued by Allied forces.